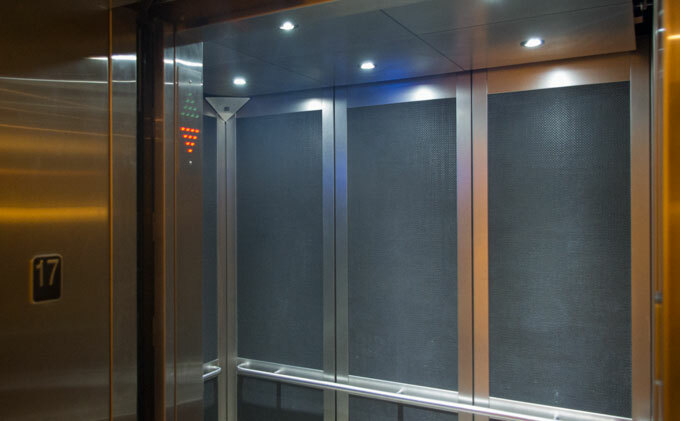 A comfortable, safe, and attractive elevator cab gives your tenants and their guests a positive impression of your building. Delta Elevator can provide excellent value and a quick turnaround time on a good selection of standard cab interior options and finishes. Our exceptional manufacturing team can also source a wide range of custom colours and finishes to match any décor. Aluminum Louvres: Aluminum louvres and T-bar provide an inexpensive ceiling solution for basic cab finishes. They use fluorescent fixtures to give good lighting levels. Stainless Steel Panels: Stainless steel panel systems allow the use of various lighting systems, including LED lights. This ceiling is also more durable and vandal resistant. 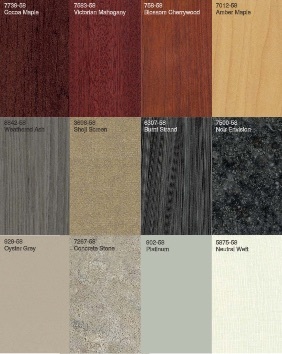 Laminate Panels with Pot Lights: Laminate panels provide a wide variety of colour choices to suit your building décor. Fluorescent Lighting: Traditional fluorescent strip lighting provides durable lighting for applications where higher end ceiling finishes are not required. Fluorescent fixtures and bulbs are inexpensive and reasonably energy efficient and can be upgraded to LED lighting solutions when and if required. LED: LED lights provide energy efficient, long lasting lighting solutions. They are available in strip lighting for solutions where a higher end ceiling finish is not required, or in downlight solutions for higher end cab interiors. LED lighting provides the latest in lighting technology solutions to meet the needs of today's energy efficient buildings.